There are many opportunites for your childern to grow in the faith and their knowledge of Jesus at Messiah. 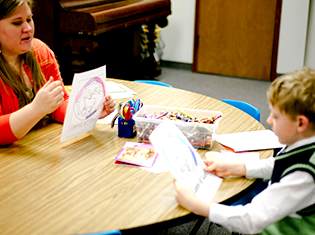 We offer a traditional Sunday School environment, with students from the ages of 2 years old through High School. Every Sunday morning we kick off with our Sunday School opening. Durring the opening the lesson of the day is introduced and we sing hymns and songs. 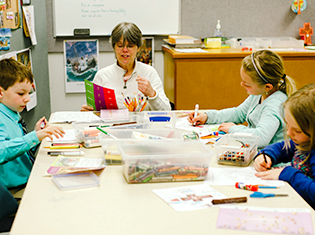 Then the kids are led to their age appropriate class, where they learn more about the lesson. For younger kids we also have a nursery and play room, located close to the classrooms.